Marlborough’s best beer, food & wine come together in the same place on Saturday, 25th November 2017. Be sure you know the ins and outs of the inaugural Ocean Vine Hop food & wine festival 2017 with our step-by-step guide! Believe it or not, Ocean Vine Hop Food & Wine Festival 2017 will be the first ever major festival to feature Marlborough’s award-winning wine, world-famous seafood and burgeoning boutique beer in equal billing. 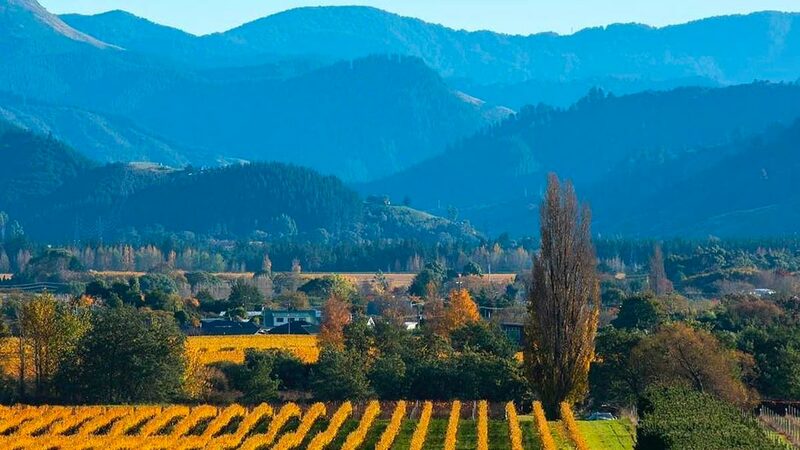 It’s also the first food & wine festival of the summer season – something you can get away with in New Zealand’s sunniest region – and Marlborough4Fun, who organised the event, are predicting over 2,500 people to attend. It’ll be a busy day, packed with awesome events and mouth-watering offerings, so you don’t want to be behind the 8 ball. Get ahead of the curve here. This is one place where you want to turn up hungry. New Zealand’s very best seafood will be on offer with Marlborough mussels, oysters, clams, snapper, cod, scampi and salmon stacking the stalls. 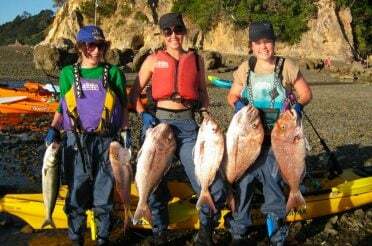 However, it’s not only about the bounty from the sea. You can try a diverse range of delicious dishes showcasing other locally sourced products, from Greek souvlaki to Argentinian barbecue, wood-fired pizzas to Chilean creations, as well as classic kiwi bacon and avocado rolls. The main thing to remember: pace yourself, there’s plenty to enjoy throughout the day. 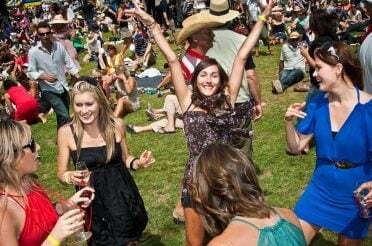 The New Zealand King Salmon Culinary Marquee will be the food equivalent of the main stage at a music festival. Events running here all through the day include chef demonstrations and interactive workshops. Charismatic celebrity chef Jax Hamilton will be rolling out two tantalising dishes to the hungry public: smoky caramelised jerk scallops on creamy white bean puree for a hearty main, and a beetroot and gin-cured salmon salad with a lemon crispy crumb as a lighter option. You can also see some of Blenheim and Marlborough’s best chefs vying for the inaugural Marlborough Dish Award. See the official Ocean Vine Hop Food & Wine Festival 2017 website for the latest Culinary Marquee Schedule. 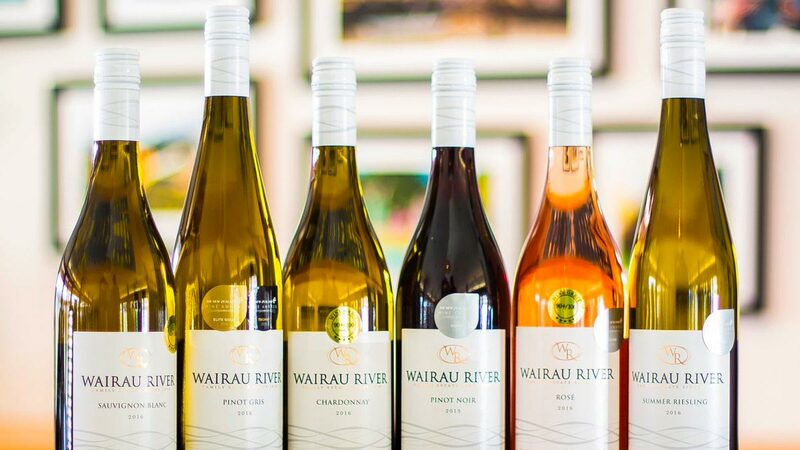 It wouldn’t be Marlborough without white wine, and you’ll be able to taste some of the best from three local wineries: Wairau River, Alan Scott and Yealands. We all know Marlborough Sauvignon Blanc is the star, but at Ocean Vine Hop Food & Wine Festival 2017 there are a few exclusive offerings that will let you enjoy it in a way you haven’t done before. Yealands will be featuring their single-vineyard Sauvignon Blanc, paired with a special oyster dish from Kiwi Kai, during an event at the Culinary Marquee. The meaty but delicate oysters are a perfect match for this bright, textured wine full of fruity layers and Yealands’ trademark mineral finish. If you don’t make it to this marquee event but still want to taste something new and different, pick up a cold can of Gooseberry Bomb wine from Alan Scott Wines. This innovative drink blends the 2016 vintage of Alan Scott’s Sauvignon Blanc with fresh Marlborough Sauvin green hops, which are grown in the region and were named after the famous grape variety because of their tropical, herby characteristics. It’s a beautiful balance between brewing and wine-making, available in easy-to-drink cans that will cool you off if the weather lives up to expectations. At Ocean Vine Hop Food & Wine Festival 2017, Marlborough’s boutique beer-brewing industry is finally getting some deserved recognition alongside world-class wine. Moa Brewing Company is the pride of the local scene, already well established and known to connoisseurs in Australia, the UK and the USA. As well as their classic labels like the Station IPA, Dry Hopped Lager and Session Pale Ale, Moa will make their Southern Alps white Indian Pale Ale the center of attention alongside a gorgeous fish curry from Raizada Indian Restaurant at the Culinary Marquee. Dry hopped with a blend of Citra and those aforementioned Marlborough Sauvin hops, this beer has a strong citrus and lemongrass aroma, though it still carries some earthy coriander spice and typical Wit characteristics from the use of Belgian ale yeast. All you really need to know is that it’s darn tasty and refreshing! The North Island’s Boundary Road brewery will also be in town, showcasing some of their best boutique beers as well as their down-to-Earth Honesty Box cider range. The crisp, classic apple cider is hard to beat, but it’s worth trying the other creative inventions from Honesty Box: strawberry and lime-infused scrumpy, anyone? It’s not only food and drink that are top-shelf here. 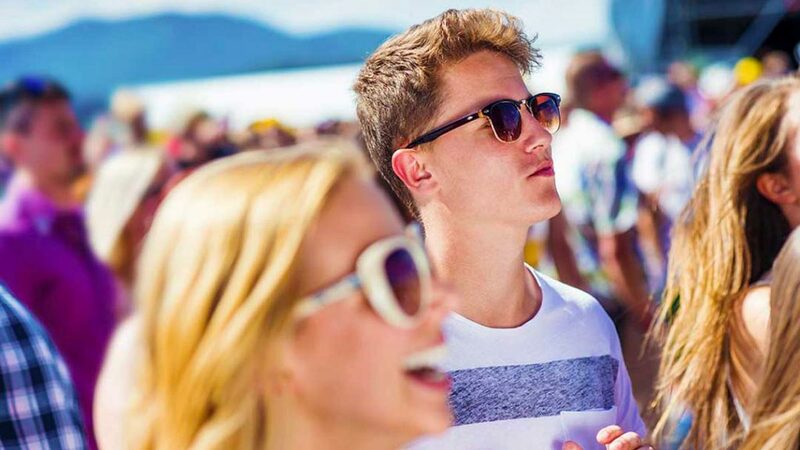 The Ocean Vine Hop Food & Wine Festival 2017 mainstage will roll out some of New Zealand’s favourite acts over the course of the day. The performance line-up is bound to satisfy festival-goers of all ages, with kiwi legend Jordan Luck and former Opshop frontman Jason Kerrison the main headliners. Outrageous Fortune star and former West End musical performer Shane Cortese and the 8-Track Band will be belting out a massive range of classic anthems and sing-along favourites that will make it hard to resist getting up to have a boogie – think anything from Ray Charles and Dire Straits to Amy Winehouse and Bruno Mars. If you’d like to enjoy all of this in serious comfort, you may still be in time to nab a ticket to the VIP Marquee. Kitted out with sleek furniture from Blenheim’s own Lynfords Furniture and catered by Wild Tomato Cafe of the Year winners BV Gourmet, you’ll be in the safest, most comfortable of hands. If you’re travelling to Blenheim for Ocean Vine Hop Food & Wine Festival 2017, make a weekend out of it and hang around in the region for a day on either side of the festival. Blenheim is only a 25-minute drive from the Picton ferry terminal, and if you arrive in Picton a day before the event you could go on the famous Mail Boat Cruise. 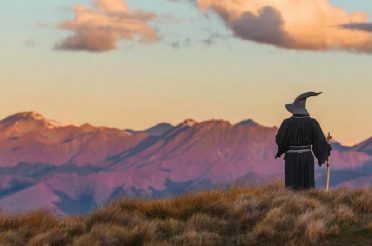 This tour lets you join the local postal boat delivering mail to residents in secluded houses dotted throughout the Marlborough Sounds. There are plenty of accommodation options around so you'll be well rested and ready to go for Ocean Vine Hop Food & Wine Festival 2017. 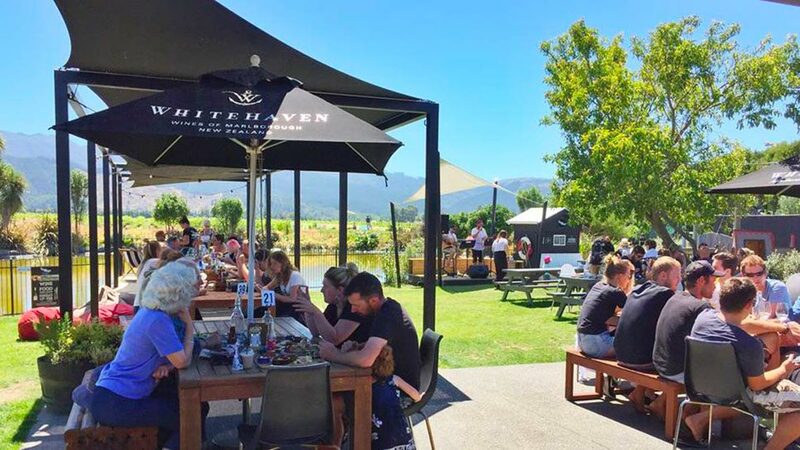 The day after Ocean Vine Hop Food & Wine Festival 2017, there’s an official day-after brunch (Sunday 26th November) at The Vines Village on Rapaura Road, located only 15 minutes from Blenheim among the so-called ‘Golden Mile’ of Marlborough vineyards. They will also have boutique art and design stalls, and you get a 10% discount on entry if you still have your Ocean Vine Hop wristband. 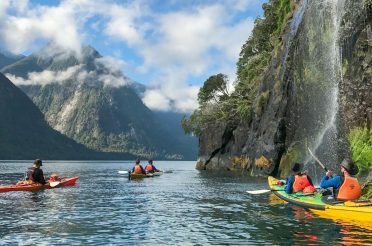 Since it’s the start of the summer season, however, you might want to make the most of being in New Zealand’s sunniest region and get out and about in the great outdoors. 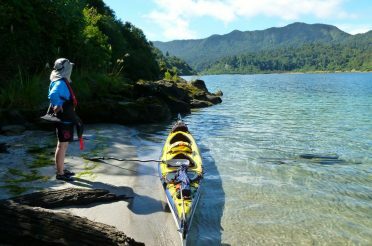 From Blenheim, you can drive half an hour to Havelock and latch onto the famous Hobbit Kayak Tour on the Pelorus river. 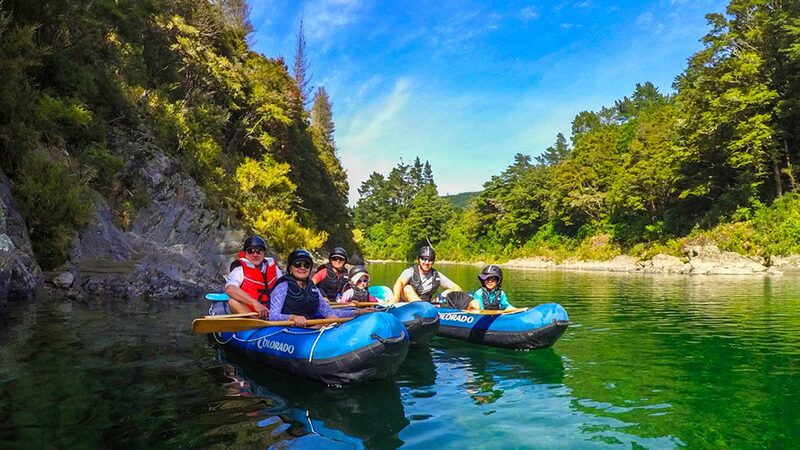 This will give you half a day of drifting down New Zealand’s most beautiful river; a great way to chill out and relax after the day at Ocean Vine Hop Food & Wine Festival 2017. 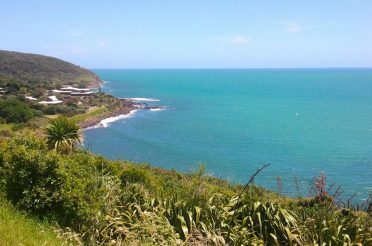 From Havelock you can drive back to Picton (45 minutes) along the Queen Charlotte Drive, which is much more scenic than the state highway. 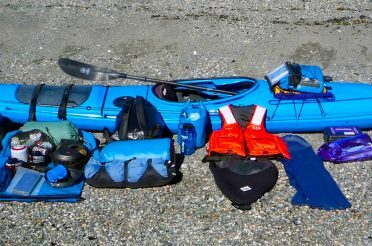 Alternatively, you can do this itinerary in reverse – Pelorus river kayak tour on the Friday before the festival, Sunday brunch and a relaxing Sunday afternoon tour of the Marlborough Sounds with Beachcomber Cruises in Picton, taking in the Motuara Island Bird Sanctuary. Churchill Glade, Pollard Park, Blenheim. 11am-6pm, Saturday 25th November, 2017. Ocean Vine Hop is restricted to people over 18. 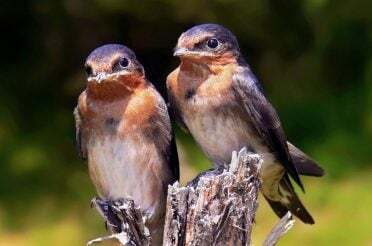 If you’re lucky enough to look young enough, make sure you bring ID. There will only be a few Eftpos and credit card facilities available, so it’s wise to being cash. If you are travelling by ferry from the North Island, you should make the most of Interislander’s special Ocean Vine Hop 10% discount offer.